In addition to its outstanding pedestrian connectivity with downtown Minneapolis, and—through the Loring Greenway—with the bikeway system, One Ten Grant is very convenient for coming and going by car. 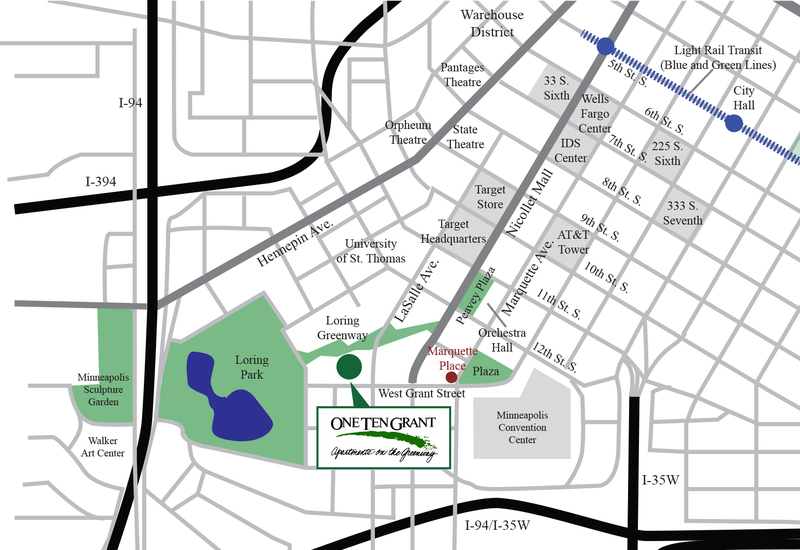 Because of its central location, One Ten Grant offers unparalleled access to the Twin Cities regional transportation system. It is close to many major commuting routes, including Interstates 394, 94 and 35W and State Highway 55. They provide convenient access to most of the Twin Cities' major destinations, from the Minneapolis-St. Paul International Airport to the Mall of America. A station of the Light Rail Transit (LRT) system is nine blocks away, and it can be reached through the skyway system. This provides express and comfortable travel to major destinations, from Minneapolis to St. Paul to Bloomington. The LRT trains can quickly take you to the Minneapolis-St. Paul International Airport, to the Mall of America, or to St. Paul. 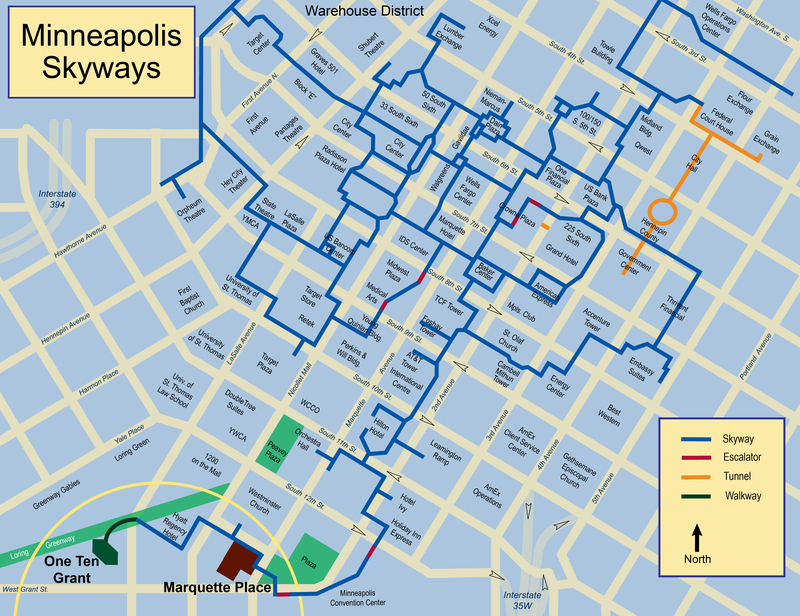 Access to air transportation is also excellent: the Minneapolis-St. Paul International Airport is about 12 miles away and easily reached through the freeway system, or with the LRT trains.